How Far is Soft Corner Eshaanya Phase I? Designed to ensure optimum natural lighting & cross-ventilation. Anti-skid vitrified flooring of rustic finish. Large span French windows in all rooms. Stylish Main door & internal doors finished with Laminates. Gypsum finished walls with good quality paint. Glass railing provided in all balconies & decks. Car Porch with provision for 2 parking. Seperate Servant's room with attached toilet/bathroom. Cafeteria & Grocery stores located in the clubhouse premises. Stylish designer tile dado above the platform. Ample points for Kitchen appliances. Water filter of reputed make. Glazed designer tile dado upto ceiling. Good quality bath & sanitary fittings. Signature Bungalows Pvt. Ltd. owes its genesis and successful growth to the uncompromising quality, strict adherence to it, commitment and the vision & ambition coupled with passion to grow and spread. 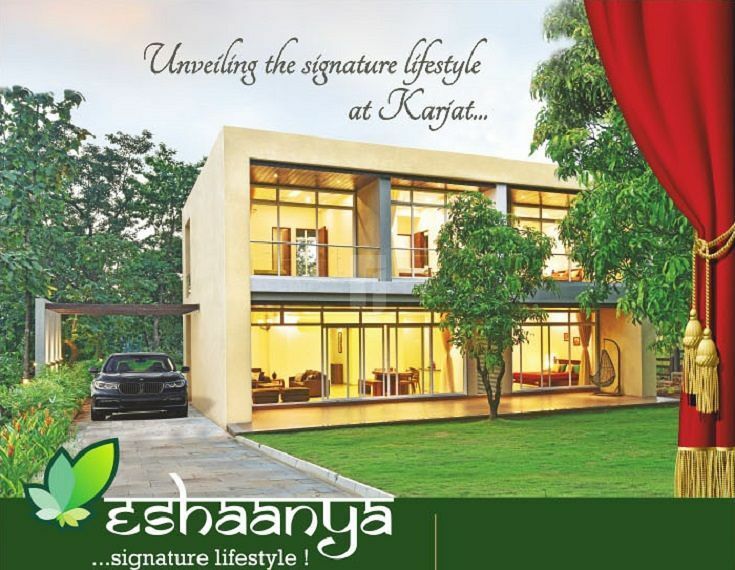 Soft Corner Eshaanya Phase I one of the best projects by the builder, built to satisfy the luxury home buyers. Developed with 2,3,4 BHK Villas for sale in Karjat with Various dimensions and various floor plans. The project that then started with 11 luxurious Signature Bungalows in 11 acres of land at Khandala and has now embarked on a larger scale of land acquisitions, land development and constructing residential spaces catering to bungalow schemes like Eshaanya, which is spread over 55 acres of land with 130 Bungalows. The combined experience of the developer’s results in over 5 decades of expertise and projects with prestigious clients like Tata Power, BPCL, HPCL etc. which is reflected in all the projects that are built with integrity and excellence in architecture. Signature Bungalows believes not only in building homes forever, but entire communities.